Skitterleap was run over the weekend here in Wellington, attracting 24 participants. 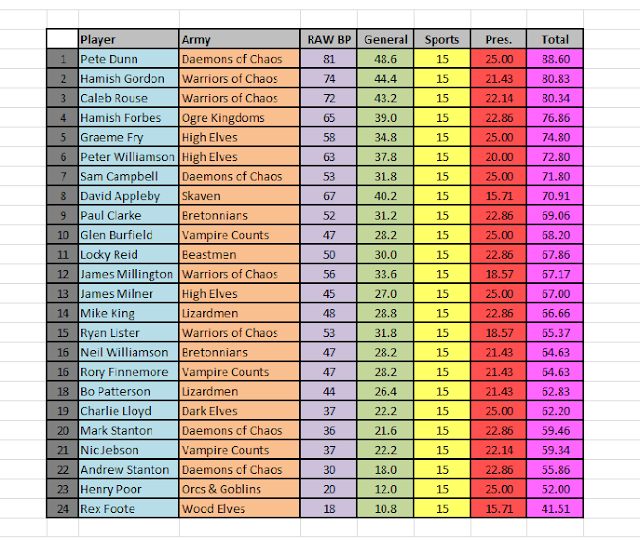 It was umpired by Sam Whitt and was contested over five rounds using scenarios and the FOB Lite Comp for 2400 points. Sam did a great job umpiring the event and from a TO perspective it all ran smoothly. I'm going to post up a discussion thread around the Painting Checklist now people have seen it in action. People really like chaos in your area. Another great Wellington Tourney. Cheers to all the chaps involved in the organisation.